My dad got me into it. He used to ride Motocross and Ice Race. I started riding a Kitty Kat Snowmobile when I was 2 years old, then a PW 50 when I was 3. 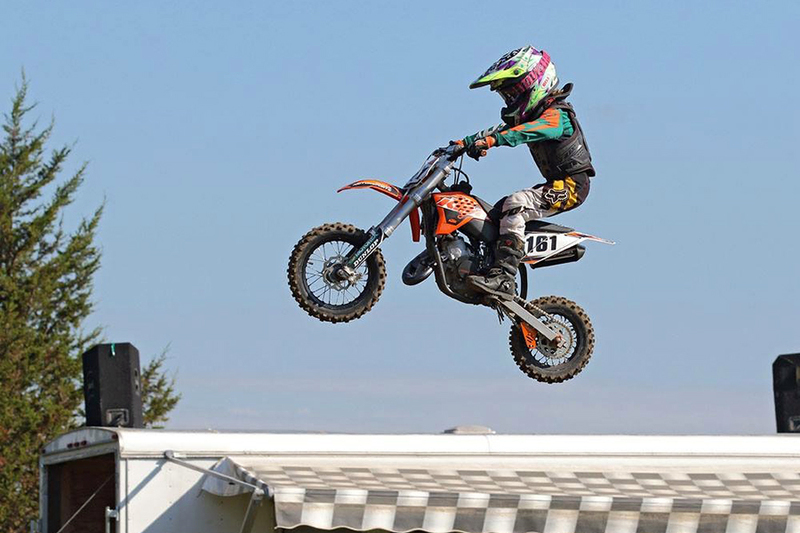 I got my KTM Mini when I was 4 and went to an MMRS event one weekend and the next weekend we went to Rocky Ridge and I raced for the first time. I think I have raced somewhere pretty much every weekend of the outdoor season since. MMRS Cochrane’s Full Track is my favourite because of the jumps and flow. Ryan Dungey is my favourite because he rides KTM like me and he is really consistent. I also really like Ronnie Mack because I like watching his funny videos. I look up to Liam O’Farrell because he rides a two-stroke for Orange Motorsports and I like to watch him when he comes to MMRS Events. My dad is my hero because he is fun! What were your goals for this season, and did you reach them? I met my goals of the season to ride lots and improve my speed and technique. 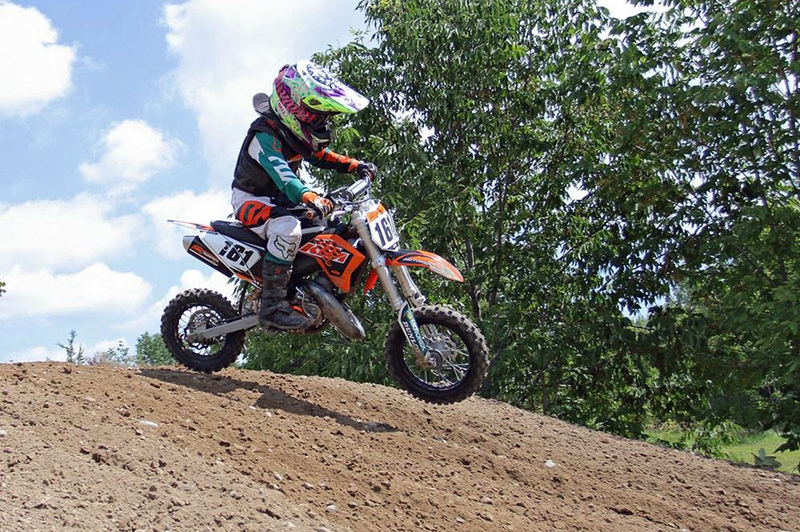 I was also able to qualify for Walton TransCan, and achieve a top ten overall finish against some super fast kids! The goal I had the most fun accomplishing was getting to competitively race my 50 in the 65 class! I am also hoping to ride regularly at Chesterman’s Indoor Track in Tillsonburg and try out ice racing with OCMC this year. My biggest accomplishment was finishing 3rd overall at the Walton TransCan in 2014 in the 50 (4-6) class. 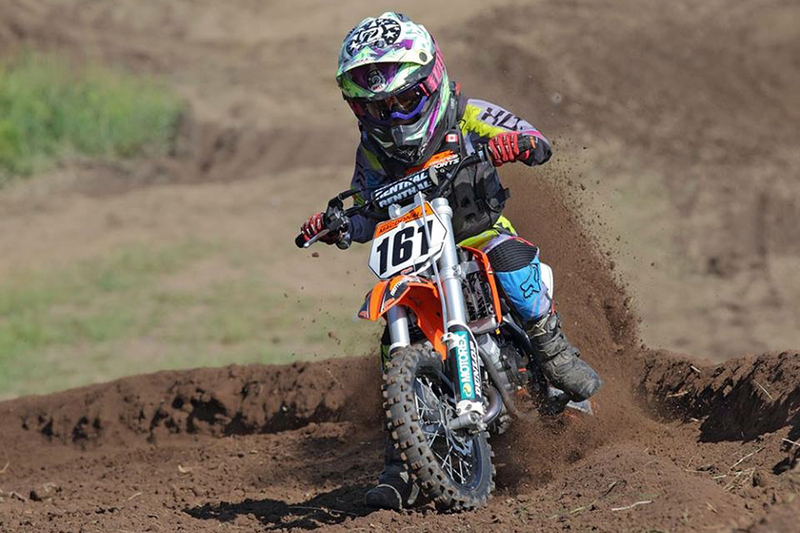 I am also proud of my overall podium finishes in both 50(7-8) and 50 GP in MMRS KTM Provincial Series, MMRS Summer Challenge, and MMRS Six Foot Series as well a MX101’s Sand Del Lee Cup this year. My favourite part about going to the races is riding motos and hanging out with all my buddies! When I am not racing I like to practice motos at different tracks, ride my BMX at the bike park, go to the beach, and hang out with my buddies. I want to thank my mom and dad, Jake and CeeCee, Colten at Orange Motosports, Chance at Nihilo Concepts, Wayne at Sailun Tire, John and Jean from MMRS, Lori at Val’s Live Bait, KSRacing, Chem-Ecol Industrial Lubricant and Oil Purification, Harvey Gold and Mao Ouyang for their amazing weekly photos, Thirnbeck’s for use of their practice track, Jeff McConkey and DMX for the exposure they give to amateur riders, all my awesome competitors who push me to ride my best and everyone else who supports me.